Clean Carfax. RARE 4LT PACKAGE! 6 SPEED MANUAL! Leather rapped dash and door panels! Dual roof package, MGW short throw shifter, front and back camera view, chrome C7 Z06 style wheels with 4 like new Continental tires, heads up display, dual mode exhaust, built in battery tender/charger, drilled/slotted rotors, ceramic coated long tube headers, cold air intake, BOSE sound, power seats w/drivers memory, keyless entry. Vinyl wrapped halo and targa top. This Grand Sport runs and drives like a dream! Very quiet and smooth ride and super clean! 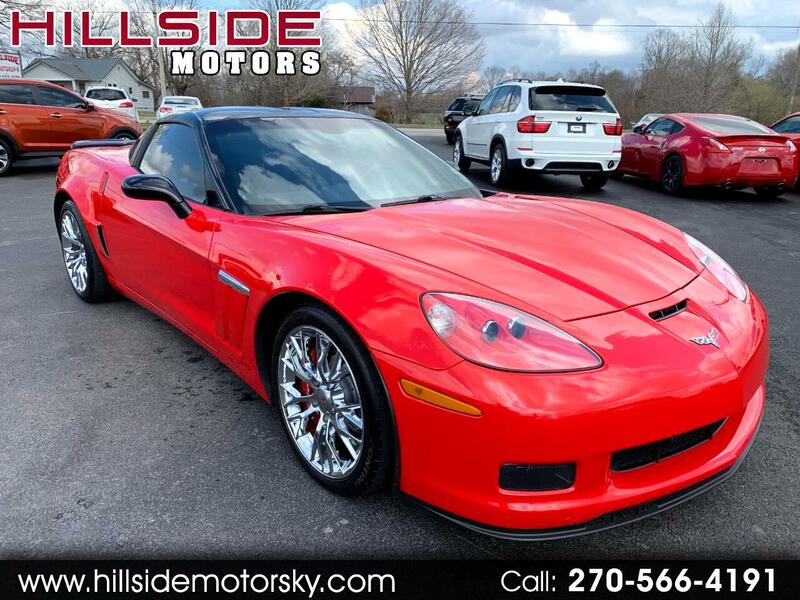 For more information or pictures visit our website at hillsidemotorsky.com or you can call or text Sam at 270-866-1147 or Chris at 270-566-4191.